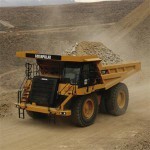 Poor sales hurt Caterpillar profit (0) April 22, 2013 Analysts expect a fall in demand for mining equipment to hurt Caterpillar’s upcoming profit and revenue guidance figures. 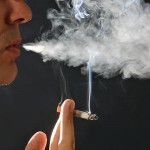 Miner cops $11 000 fine for smoking underground (0) April 22, 2013 A miner has been fined $11,000 after he was charged with smoking underground at the North Goonyella coal mine near Moranbah in Queensland on April 27 last year. 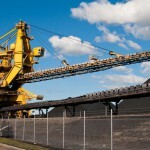 Calibre wins massive BHP contract (0) April 22, 2013 Calibre Group has won a contract with BHP subsidiary BMA for the onshore upgrade of the Hay Point coal terminal. 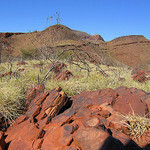 Corruption watchdog warns of misconduct in mining towns (0) April 22, 2013 The WA Corruption and Crime Commission has warned that the significant investment miners make in Pilbara communities has pressured local councils into delivering outcomes for resource companies. 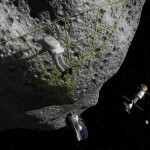 Bechtel joins in asteroid mining mission (0) April 22, 2013 Contractor Bechtel has joined with space miner Planetary Resources to mine near earth asteroids. 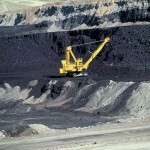 Coal mining contractor dies (0) April 19, 2013 A contractor from the Curragh coal mine has died. 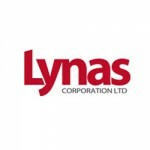 Lynas on track to expand operations (0) April 19, 2013 Rare earths miner Lynas Corporation says it’s on track to meet its second quarter target of producing 11,000 tonnes per year from its processing plant in Malaysia. 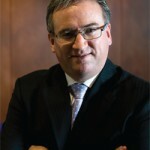 Rio hit peak investment in 2012: Walsh (0) April 19, 2013 Rio Tinto CEO Sam Walsh says the company hit its peak investment in 2012 and is now focused on building up cash reserves with the sale of non-core assets. Mine worker denied further compensation after work accident (0) April 19, 2013 A machine operator who was awarded $413, 082 after a being injured at a mine site has had his appeal for further compensation knocked back. Coates cuts 75 jobs (0) April 19, 2013 Coates Hire has blamed poor economic conditions for a move to restructure its business and cut 75 jobs. 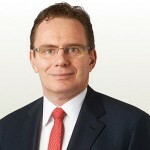 BHP curtails pay, new CEO gets 25 per cent cut (0) April 19, 2013 BHP Billiton’s new chief executive is likely to earn about 25 per cent less per year compared to his predecessor Marius Kloppers. 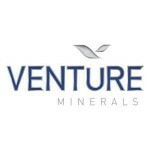 New mining manufacturer brings $150m to Newcastle (0) April 19, 2013 Valley Longwall International have opened a new service centre in Newcastle which will contribute an estimated to $150m to the local economy. 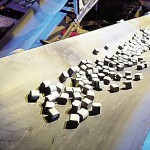 Incitec Pivot to make new ammonia plant in the US (0) April 19, 2013 Fertiliser and explosives manufacturer Incitec Pivot has announced that it will start work on a new, $US 850 million, 800,000 metre tonnes-per-year ammonia factory in the United States. 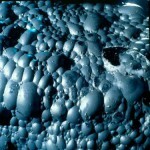 Court finds SNF infringed BASF’s Rheomax ETD patents (0) April 19, 2013 The High Court has upheld findings that SNF has infringed BASF’s Rheomax ETD patents and that those patents are valid. NRW secures Roy Hill contract (20) April 18, 2013 Mining contractor NRW Holdings has secured a $67 million contract to complete earthworks and piping at Gina Rinehart’s Roy Hill iron ore project. 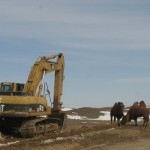 Rio’s Mongolian project in dispute as funding talks continue (0) April 18, 2013 Rio Tinto has advanced its funding talks for an expansion of its Mongolian Oyu Tolgoi mine that’s been estimated to cost $5.1 billion. Pike River Coal guilty (28) April 18, 2013 Pike River Coal company has been found guilty on all nine health and safety charges laid after the 2010 mine disaster which killed 29 workers. 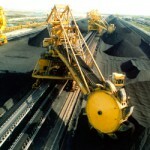 Kloppers’ retirement package revealed (0) April 18, 2013 BHP Billiton has today announced outgoing chief executive Marius Kloppers’ retirement terms. 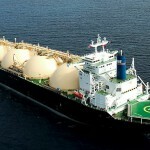 Australia to be world no.1 LNG exporter by 2018 (0) April 18, 2013 Federal Resources Minister Gary Gray has tipped Australia to become the largest natural gas exporter in the world within five years. 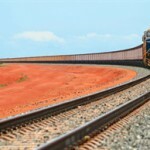 BHP stays on track, posts record iron ore production (0) April 18, 2013 Iron ore remains a bright sport for BHP Billiton, and the company has maintained full year production guidance despite posting weaker than expected performance for the March quarter. Church places mining and CSG on ‘black list’ (0) April 18, 2013 The Uniting Church has added mining and coal seam gas on its ‘black list’ of industries and companies it will cease investment in. US shale gas boom behind new Incitec Pivot factory (0) April 18, 2013 Incitec Pivot credited the boom in US shale gas as a factor in its decision to build a new ammonia factory in Louisiana. 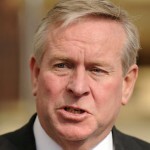 Tell the truth for once: MCA hits back at CFMEU (0) April 17, 2013 The Minerals Council of Australia has hit back at claims by the CFMEU that the benefits of the mining boom are not being spread widely enough. Unions rally for more mining boom benefits (0) April 17, 2013 Around 1000 local workers and community members are expected to protest in Gladstone today to demand action on ways to better spread the benefits of the mining boom. 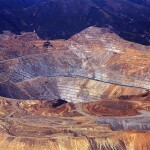 Rio asks employees to take a break (0) April 17, 2013 Following last week’s landslip at Rio Tinto’s Bingham Canyon mine in Utah the company has asked employees to take vacation or unpaid leave. 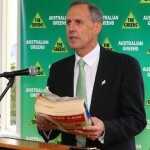 Bob Brown vows to fight Tarkine mining (0) April 17, 2013 Former Greens leader Bob Brown has vowed to throw his support behind a campaign to stop mining in Tasmania’s Tarkine region. 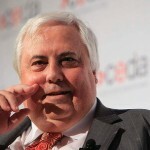 Miners gloomy over May budget (0) April 17, 2013 Australia’s resources sector is pessimistic about next month’s federal budget as it fears an increased tax hike could hamper the sector’s recovery. Explosion at Mt Isa acid plant (0) April 17, 2013 An explosion at Incitec Pivot’s Mount Isa acid plant yesterday sparked concerns about a smoke plume. 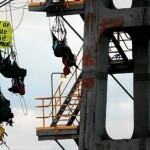 Mining companies can afford to pay higher wages: CFMEU (1) April 17, 2013 The CFMEU say there is scope to increase wages in the coal sector, despite companies stating they cannot afford to. 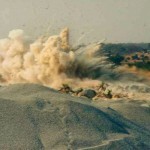 Gold mine collapse kills 17 people (0) April 17, 2013 At least 17 miners have been killed when an abandoned gold mine collapsed this week in central Ghana. 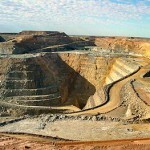 Miners call for gold royalty exemption (0) April 17, 2013 Miners are calling on the Western Australian government to leave gold out of its upcoming royalty review. 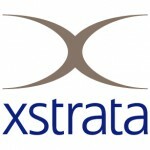 Xstrata executives to depart following Glencore merger (31) April 17, 2013 Xstrata has provided more details on the managers who will be stepping down following its Glencore merger, with its full executive committee set to depart once the deal is inked. 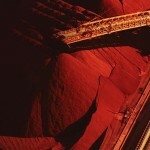 Rio posts record iron ore production (0) April 17, 2013 Rio Tinto has posted record iron ore production for the march quarter, beating analyst expectations and keeping the miner on track to meet its full year targets. 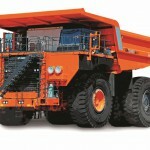 Hitachi to trial automated trucks at Meandu coal mine (825) April 16, 2013 Hitachi has teamed up with Stanwell Corporation to trial its automated haul truck systems. 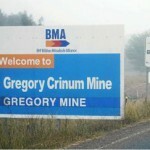 80 workers lose their jobs at coal mine in Queensland (0) April 16, 2013 Around 80 workers are set to lose their jobs at Crinum underground coal mine after mining contractor Redpath reduced its crew numbers. 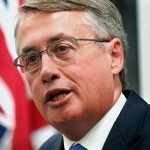 Doyles Creek proposal “fraudulant”: ICAC (0) April 16, 2013 The Doyles Creek mining proposal submitted to the NSW government incorporated so many false and misleading statements it amounted to fraud, the Independent Commission Against Corruption inquiry has heard. 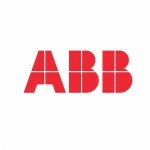 ABB to build world’s largest mine hoists for BHP (0) April 16, 2013 BHP Billiton has selected technology and automation group ABB to build the world’s largest mine hoisting systems for a potash operation in Canada. 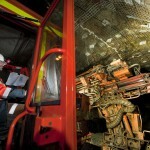 Gold junior plans underground mine at Kalgoorlie (0) April 16, 2013 KalNorth Gold Mines has started assessment work on the potential for developing an underground mining operation at its Lindsay’s field near Kalgoorlie. 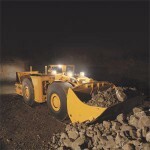 Two workers injured after accidents at Broken Hill mine (2) April 16, 2013 A worker has been injured in a rock fall at CBH Resources’ Rasp mine, while another suffered serious injuries after a crushing accident. 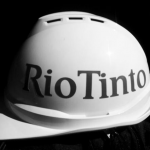 Hundreds of jobs at risk as Rio mine expansion overturned (855) April 16, 2013 A NSW court has overturned approval for the expansion of Rio Tinto’s Mount Thorley mine in the Hunter Valley, potentially putting 1300 jobs at risk. 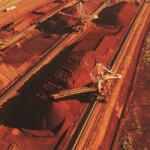 Analysts expect weaker performance from BHP and Rio (0) April 16, 2013 Analysts expect Rio Tinto and BHP Billiton to post weaker production results for the March quarter after a spate of cyclones disrupted operations in WA and QLD. 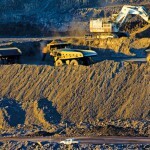 Mining benefits exaggerated: Report (0) April 15, 2013 Resource companies routinely play down health and environmental effects of projects in favour of overstating economic and employment benefits, a new report has found. Hunter residents potentially exposed to toxic fumes and dust (0) April 15, 2013 Falling air quality in the Hunter Valley has angered health professionals who are demanding increased protection for residents from mining dust and blast chemicals. 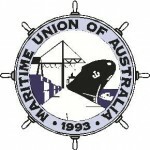 Bechtel loses bid to lock-out MUA (0) April 15, 2013 The Fair Work Commission has dismissed attempts by Bechtel to block the Maritime Union of Australia from going on-site at the Curtis Island LNG project in Queensland. 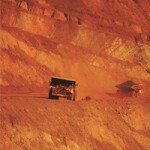 New Indonesian laws not driving off Aussie miners: Austrade (0) April 15, 2013 Australian interest in the Indonesian mining sector is on the rise despite stricter laws on foreign investment in the country, Austrade officials say. 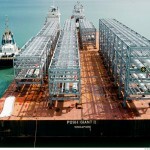 Debate erupts as Woodside walk away from LNG hub (0) April 15, 2013 Woodside’s decision to shelve its $40 billion Browse liquefied natural gas project has caused bitter dispute. 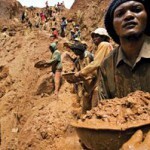 Miners need to sharpen up: Report (0) April 15, 2013 Mining companies need to shift focus towards lifting productivity, not towards digging up larger volumes of minerals, a new report suggests. 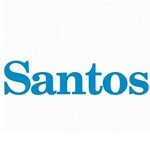 New chairman for Santos (0) April 15, 2013 Santos chairman Peter Coates has stepped down from his role at the oil and gas giant, with non-executive director Ken Borda set to take up the new position. Queensland coal port protests (0) April 15, 2013 Greenpeace have not ruled out partaking in acts of civil disobedience as it prepares to protest against Queensland’s coal industry this week. 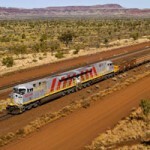 Keith Neate named as Aurizon Holdings CFO (0) April 15, 2013 Aurizon Holdings has named Keith Neate as its Chief Financial Officer. 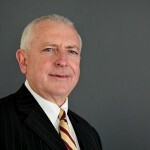 This follows his short tenure as acting CFO which began in November last year. Heavy machinery to improve TAFE training (0) April 12, 2013 A $100,000 underground loader has been donated to the Western Dubbo TAFE campus and will be used to train students. 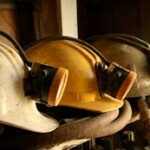 Mining industry spends $1.15 bn on training: report (0) April 12, 2013 Often accused of not providing enough training opportunities,a new report claims the mining industry spent more than $1.15 billion on training over the last two years. Framing a training mine: ICAC (3) April 12, 2013 Drafting a submission for a prospective training mine was the task afforded to PricewaterhouseCoopers’ Peter Demura, the Independent Commission against Corruption heard on Thursday. 260 jobs in jeopardy after BHP axes mine contract (0) April 12, 2013 The CFMEU want any workers affected by BHP’s decision to axe a Leighton contract to be redeployed to other mines in the Bowen Basin. 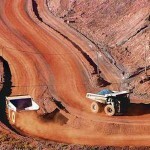 High wages attracting low skilled workers (0) April 12, 2013 The WA mining industry is attracting unsuitable workers who want to earn high wages without building a career in the sector, a consulting firm says. 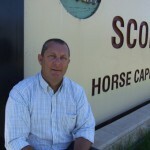 Thoroughbred breeders say mining has been over-emphasised (0) April 12, 2013 Hunter Valley thoroughbred breeders are again warning that mining is threatening some of the most productive land in New South Wales. 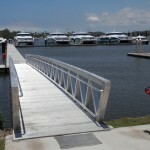 Woodside scraps James Price Point development (1) April 12, 2013 Oil and gas producer Woodside has this morning announced it will begin reviewing alternative Browse development options for its James Price Point project including floating LNG. Ghostly protests against Northern Territory uranium mining (0) April 12, 2013 Ten people dressed as spectres protested outside Energy Resources of Australia’s head office in Darwin yesterday, in opposition of plans to expand uranium mining in the Northern Territory. 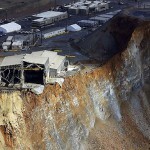 Wall collapse at Rio mine (0) April 12, 2013 Rio Tinto’s Kennecott Utah Copper’s Bingham Canyon mine pit has experienced a land slip along its north eastern wall. 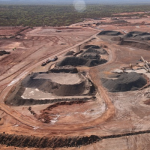 BHP sells diamond mine (12) April 12, 2013 BHP has completed the sale of its diamond business to Dominion Diamond Corporation. Mining council blasts government plan to save manufacturing jobs (0) April 11, 2013 The local content part of federal government’s plan to assist manufacturers is “cumbersome”, a threat to commercial confidentiality and could actually destroy jobs, according to the Minerals Council of Australia. 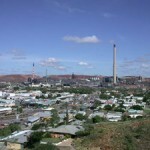 Population boom in top mining towns, ABS says (0) April 11, 2013 There have been population booms in Queensland mining towns, according to new figures from the Australian Bureau of Statistics. 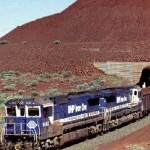 FMG on the cusp of major re-rating: analysts (0) April 11, 2013 Analysts say Fortescue Metals Group’s move to sell part of its port and rail assets could trigger a major re-rating in the miner’s stocks. Politicians join forces to stop CSG in the Illawarra (0) April 11, 2013 Illawarra politicians want coal seam gas exploration stopped in the region’s drinking water catchments. New Queensland gold mine officially opens (0) April 11, 2013 Evolution Mining officially opened their Mount Carlton gold-silver and copper mine in Queensland, creating hundreds of jobs. Decmil wins Roy Hill contracts (3) April 11, 2013 Decmil has been awarded $71 million worth of contracts for Gina Rinehart’s Roy Hill iron ore mine. 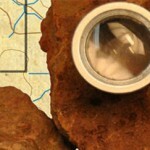 Consider community for new mines, report says (22) April 11, 2013 A new proposal could ask mining companies to lay out benefits of big projects to communities before receiving approval. 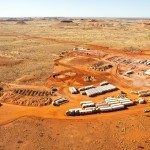 Demand for uranium will increase: ERA (0) April 11, 2013 Energy Resources of Australia say a new uranium mine in the Northern Territory will play an important role in future energy needs. 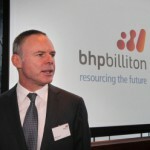 Leighton takes a $260m hit as BHP axes contract (0) April 10, 2013 BHP Billiton has axed a contract with Leighton, replacing the mine contractor with a smaller company as it moves to cut costs. 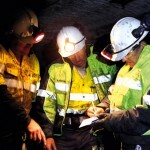 1,800 applications for 131 mining jobs (0) April 10, 2013 Mining contractor Barminco says it received over 1,800 job applications for 131 positions at the Renison underground mine in Tasmania. 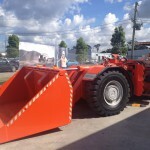 Union concerned over safety of BMA cars (0) April 10, 2013 The CFMEU has expressed concern about the safety of cars used on BMA mine sites in Queensland. 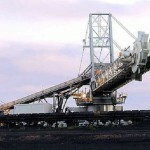 Newcastle’s T4 coal terminal could be shelved (0) April 10, 2013 Port Waratah Coal Services may shelve plans for the controversial T4 coal loader on Kooragang Island due to the recent coal slump. Gindalbie celebrates Karara mine opening (16) April 9, 2013 Western Australia’s mid-west region has chalked up a significant milestone, with Gindalbie Metals officially opening the Karara iron ore project. 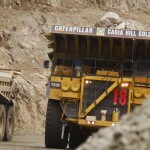 Alpha does not want to become a mining town: report (0) April 9, 2013 The township of Alpha in Central Queensland prefers the idea of a 2000-strong fly-in-fly-out workforce instead of turning into a ‘mining town’. 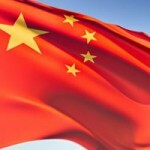 Chinese convertibility not much help to miners (0) April 9, 2013 The Australian dollar is set to be the third currency fully convertible against the Chinese yuan a move which will lower business transaction costs. WA nickel mine to close this month (2) April 9, 2013 About 180 workers will be out of a job as Russia’s Norilsk Nickel closes its Western Australian Lake Johnston operations this month. 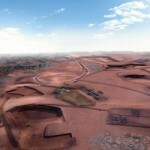 Fortesque finance chief labels mining tax complicated (0) April 9, 2013 Fortescue’s top executive is not surprised Treasury could not see critical aspects of the mining tax process. 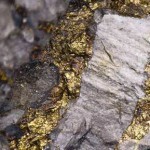 Earthquakes create instant gold veins (24) April 9, 2013 Australian scientists have released a study detailing how minor earthquakes can instantly create new gold veins underground. Pilot graphite plant in SA (0) April 9, 2013 A pilot graphite plant worth $1.94 million could be up and running on South Australia’s Lower Eyre Peninsula by the end of the year. 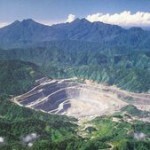 PNG Government to consolidate resource assets (0) April 9, 2013 The Papua New Guinea Government has announced plans to consolidate all of the country’s mining, oil, and gas assets into a single state-owned enterprise. 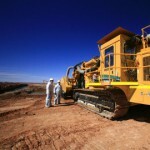 Australia’s mining sector rated best in the world (0) April 8, 2013 Leading US mining consultancy Behre Dolbear has rated Australia the best place in the world for mining investment for the fourth year running. 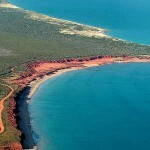 Gas hub FIFO camp in Broome (0) April 8, 2013 A temporary camp accommodating 850 fly-in fly out workers on the outskirts of Broome has been provisionally approved. 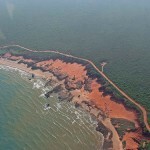 Rio Tinto waiting for go ahead on $1.3 billion project (0) April 8, 2013 Rio Tinto Alcan anticipates construction of its $1.3 billion bauxite mine expansion near Weipa will start this year. 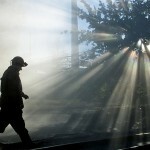 Boart Longyear’s CFO leaving (0) April 8, 2013 Boart Longyear’s chief financial officer Joseph Raglan is leaving the drilling company. 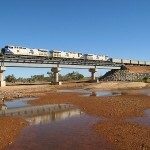 Fatigue management and automated rostering set to hit the Pilbara (0) April 8, 2013 Fortescue has struck a deal with workforce management solutions company ComOps to deploy fatigue risk management software in its pit to port operations. 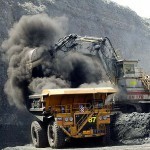 Rio’s asset sale a blow for the Hunter (0) April 8, 2013 The Hunter Valley’s already struggling coal industry will again be hit if Rio Tinto goes ahead with apparent plans to sell off its stake in Coal & Allied. 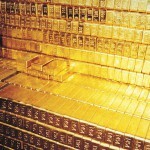 Cheap gold company stocks (12) April 8, 2013 Gold miners Rand Mining and Tribune Mining are currently tipped to be the Australia’s best-value gold stocks. Protestors fight to halt mining in Tarkine (0) April 8, 2013 Protests continue in Tasmania’s Tarkine region, as environmentalists campaign to stop the development of new mines. 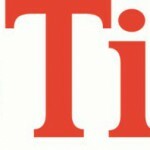 Not enough miners on Rio board: advisor (0) April 8, 2013 A key corporate advisor has expressed concern about the lack of mining experience present on the board of Rio Tinto. 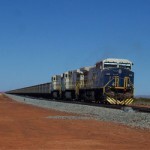 FMG on track to sell port and rail stake (0) April 8, 2013 Fortescue Metals Group CEO Nev Power says the company is on track to sell a stake in its Pilbara port and rail assets by the middle of this year. 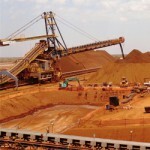 Mining firm underpays 457 visa workers: union (0) April 8, 2013 The Immigration Department is investigating claims that dozens of workers on 457 visas working at a Northern Territory mine are being paid half the wages of their Australian counter-parts. 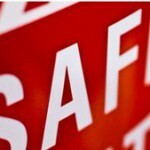 Man survives 35-metre fall down mine shaft (0) April 8, 2013 A man fell 35 metres into a disused mine at Golden Point, near Castlemaine in Victoria on Saturday. 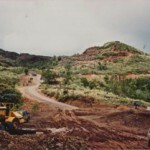 Queensland mining town records 30% growth (0) April 5, 2013 The Queensland town of Wandoan has recorded a 30 per cent increase in house price growth over the last year. 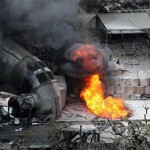 The 5 largest cancellations of 2012 (0) April 5, 2013 While it started strong, 2012 saw commodity prices start to soften, and with this decline a number of major projects were put on the back-burner. 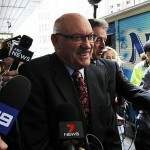 Court dismisses claims against Newcrest (0) April 5, 2013 The NSW Supreme Court has dismissed claims against miner Newcrest’s operations in the state’s Central West. Libs to keep part of the mining tax (0) April 5, 2013 The Federal Opposition plans to keep part of Labor’s mining tax package in play, saying it will generate billions of dollars in the decades ahead. 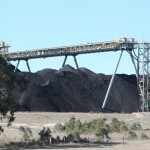 Hunter Enviro seeks extension for coal clean up (0) April 5, 2013 Hunter Enviro Mining is looking for state government approval to extend its licence for four years to clear nearly three million tonnes of coal waste. NT mine discharges more untreated waste water (0) April 5, 2013 Excess supply has again forced Vista Gold to discharge untreated waste water from the Mt Todd mine into the Edith River in the Northern Territory’s north. Rio’s Northparkes mine to be sold (0) April 5, 2013 Rio Tinto has hired Macquarie Group to find a buyer for its majority stake in the Northparkes copper and gold mine, located in Central West New South Wales. 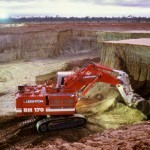 New bauxite mine to create up to 45 jobs (0) April 5, 2013 A Chinese company has invested in a new bauxite mining site in Tasmania’s north. 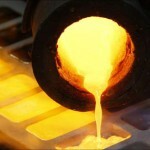 Murdoch University team seeks partners to commercialise precious metal extraction process (0) April 5, 2013 Murdoch University researchers have come up with a new approach to make the recovery of high value precious metals faster and more economically viable. 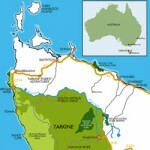 Toro to ship uranium through Territory and South Australia (0) April 5, 2013 Following federal approval for its uranium mine, Toro Energy is now planning to ship its concentrate through the Northern Territory and South Australia. 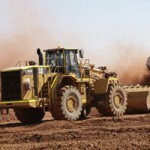 Liebherr starts $65m expansion (0) April 4, 2013 Construction and mining manufacturer Liebherr-Australia has begun work on a $65 million expansion of its Adelaide headquarters. 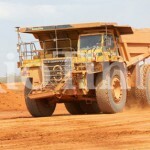 Treasury unclear on cause of mining tax shortfall (0) April 4, 2013 Treasury has told a parliamentary inquiry it is still unsure why the federal government’s mining tax failed to generate estimated revenues. 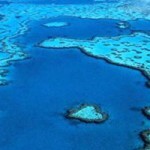 Pollies unsure of $12bn port plans (0) April 4, 2013 Both sides of politics have expressed doubt over the viability of building a new $12 billion coal port south of Mackay, which is also opposed by environmentalists. 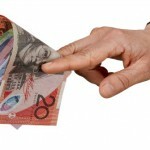 ATO could make miners’ tax details public (0) April 4, 2013 Mining companies may have their tax details made public by the Australian Tax Office, if a Treasury proposal released on Wednesday goes through. 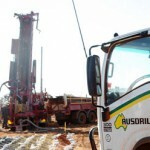 Australian Industry Group calls for considered approach to CSG mining restrictions (0) April 4, 2013 The Australian Industry Group has spoken out on the issue of coal seam gas production, arguing for the need to balance a secure gas supply with concerns over environmental impact. Federal Court fight to stop Tarkine mine (2) April 4, 2013 Mining in Tasmania’s Tarkine region is being challenged as conservationists take their battle to the federal court. 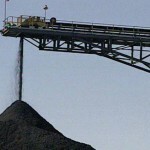 Rio sells coal mines across Australia (61) April 4, 2013 Rio Tinto has put several of its coal assets up for sale including stakes in Clermont, Blair Athol, and Coal & Allied. 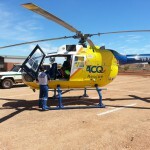 Miner rescued as BMA invests in choppers (0) April 4, 2013 BMA has committed $330,000 over three years to Central Queensland’s RACQ Helicopter Rescue service. 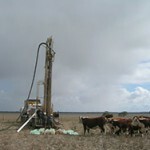 NSW voters against CSG: poll (1) April 3, 2013 A new poll has shown 75 per cent of NSW voters oppose coal seam gas exploration on agricultural land. 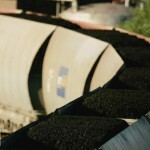 Coal exploration continues for NSW Southern Highlands (845) April 3, 2013 Coal exploration is set to continue in the NSW Southern Highland’s after a three year lease was approved by the state government. 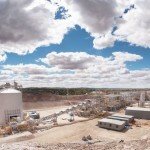 Toro inks federal approval for WA’s first uranium mine (0) April 3, 2013 Toro Energy has received federal approval for its Wiluna uranium mine in WA, which is set to become the state’s first uranium project. 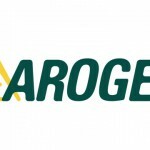 Drilling company goes into administration (0) April 3, 2013 Directional drilling company Arogen has been placed into administration with debts totalling almost $4.5million, a meeting of creditors was told yesterday. 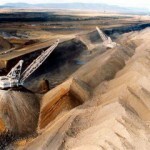 Another delay for Glencore-Xstrata merger (0) April 3, 2013 Glencore and Xstrata have announced yet another delay to their merger agreement, with regulation and court processes holding up the deal. 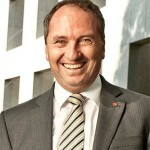 Australia would be broke without mining: Joyce (0) April 3, 2013 Government must work to form closer relationships with mining companies, Queensland Nationals Senator Barnaby Joyce says. 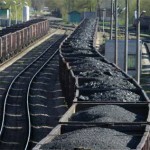 Report says Coalition carbon tax policy doesn’t add up (0) April 3, 2013 According to modelling by research group RepuTex, scrapping the carbon tax without implementing other industry changes would put a stop to investment in Australia’s renewable energy sector. 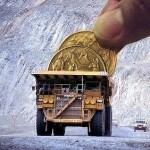 Treasury concedes mining tax unlikely to raise forecasted $2bil (0) April 2, 2013 Treasury has admitted that the mining tax looks unlikely to raise the $2 billion it was expected to. 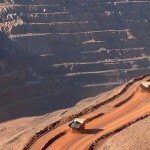 BHP to freeze West African assets (0) April 2, 2013 Rumours have emerged that BHP Billiton is moving to freeze all assets in Gabon, but so far the company has not confirmed the speculation. 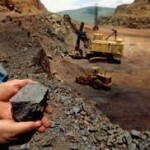 Mining tax forecast to bring higher revenue (0) April 2, 2013 The federal government’s mining tax is expected to bring higher revenue flows when major miners submit their March-quarter receipts over the next few days. 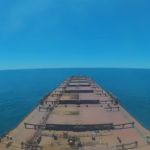 New shiploader for Pilbara port (0) April 2, 2013 Rio Tinto has made another step toward expanding its Pilbara iron ore assets, with a new shiploader recently installed at the Cape Lambert port. Indigenous workers want a fair go on Curtis Island (0) April 2, 2013 Members of the Indigenous community in Gladstone say they have been overlooked when it comes to employment opportunities on Curtis Island. Lost WA prospector found (0) April 2, 2013 A prospector who was reported missing on Sunday afternoon has been found in a mine shaft. Caterpillar to slash jobs in South Milwaukee (0) April 2, 2013 Caterpillar will make 250-300 positions redundant at its manufacturing plant in South Milwaukee. Foreign workers paid less than $3 an hour (0) April 2, 2013 The Federal Court will next week hear allegations that foreign workers were paid less than $3 an hour to work on oil rigs off the WA coast. 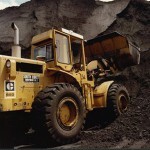 Mining equipment company shuts down as coal sector keeps trimming (0) April 2, 2013 A NSW mining and earth moving equipment company has gone into receivership as Australia’s volatile coal sector continues to put the squeeze on the service industry. 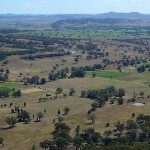 New coal mine for north west NSW (0) March 28, 2013 The Environmental Impact Statement for the Shenhua Watermark Coal Project near Gunnedah in north west NSW has been released for public consultation. 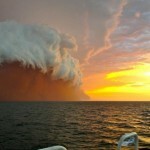 Services companies will weather the storm: RBA (0) March 28, 2013 Companies that service the mining sector will be hit hard by a slowdown in commodity prices, but they’re well placed to weather the storm, according to the Reserve Bank. 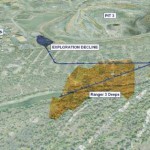 Miner to resume lead exports (0) March 28, 2013 Rosslyn Hill Mining, formerly known as Magellan Metals, has been given the green light to resume lead exports after shutting down in 2011 due to environmental and health concerns. 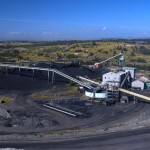 Hunter Valley coal still booming (0) March 28, 2013 The Bureau of Resources and Energy Economics says the Hunter Valley’s coal industry is posting record export volumes, and talk of a downturn in the sector may be premature. 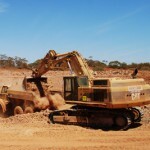 Mining productivity down by a third over last decade (0) March 27, 2013 Mining productivity has declined by about one third over the past decade, according to a new government report. 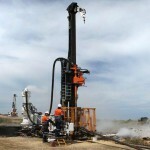 Graphite mining could be SA’s next big thing (0) March 27, 2013 A spate of new graphite discoveries on South Australia’s Eyre Peninsula has mining companies upbeat about future prospects for the region. 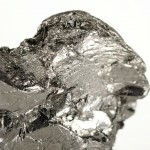 Mindax signs $52 million deal with Perpetual (0) March 27, 2013 Junior mining company Mindax has signed a $52 million deal with Hong Kong’s Perpetual Mining in a joint venture for the Mt Forrest Iron Project. New CEO for Hunter Coal Chain (0) March 27, 2013 Orica executive Kirsten Molloy has been appointed as the new CEO of the Hunter Valley Coal Chain Coordinator. Government scales down New Acland expansion (0) March 27, 2013 The Queensland Government has finished early regulatory work on the New Acland coal mine expansion, allowing New Hope to start an environmental assessment on the project. 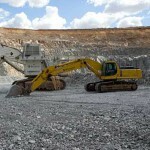 Mining services group Aethon looks for IPO (0) March 26, 2013 Australian mining services provider Aethon Group is looking to raise up to $31.9 million in an initial public offering, according to documents seen by Deal Journal Australia. Cambodian PM linked to BHP deal (0) March 26, 2013 A BHP Billiton mining deal being investigated for alleged corruption was overseen by Cambodian prime minister and strongman Hun Sen, diplomatic cables disclosed. 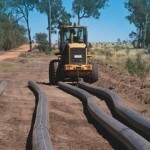 Qld government approves $1 billion gas pipeline (0) March 26, 2013 The Queensland government has approved a 600 km gas pipeline to be built from the Surat and Bowen basins to Gladstone. 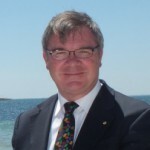 Gray won’t change mining tax (0) March 26, 2013 Newly appointed Federal Resources Minister Gary Gray has ruled out making any changes to the mining tax but has conceded it could’ve been handled better. 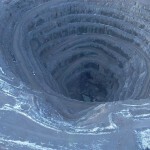 Global mining deals falling fast (0) March 26, 2013 The value of global mining deals fell 30 per cent in 2012, according to the latest deals report from PricewaterhouseCoopers. 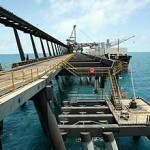 New $8 billion mine for the NT (0) March 26, 2013 The Northern Territory has approved a new $8 billion ilmenite mine that is expected to be exporting ore within a month. Roadshow to showcase mining jobs for indigenous Australians (0) March 26, 2013 Today’s Gidarjil Roadshow in Bundaberg promise to be a good opportunity for local indigenous people to learn about employment in the state’s booming energy sector. 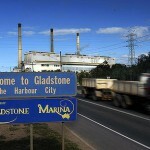 $10bn gas plan for BHP and Exxon (0) March 26, 2013 BHP Billiton and Exxon Mobil are planning to kick off the approval process for a $10 billion dollar floating LNG project in WA. 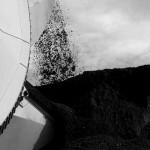 Yancoal to pursue “aggressive” cost cutting (0) March 26, 2013 Chinese-owned coal miner Yancoal has announced plans to pursue “aggressive” cost reductions across its Australian sites in 2013. Workers dodge positive drugs tests (13) March 26, 2013 Industry drug testers have raised concerns that workers are managing their illegal drug intake in a bid to escape getting caught out in tests. Mining now Tasmania’s major employer (0) March 25, 2013 Following two years of significant growth, mining now earns about $1.7 billion, a figure which equates to over half the state’s exports. 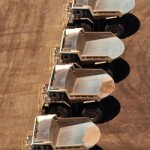 Rio expanding driverless truck fleet (0) March 25, 2013 Rio Tinto is preparing to deploy eight more driverless trucks on its iron ore operations in Western Australia. Xstrata train derails (0) March 25, 2013 An Xstrata Zinc train derailed over the weekend, spilling 21 carriages worth of zinc concentrate near Townsville. Mining creating fewer jobs than transport (0) March 25, 2013 There are currently 110,500 people employed directly in WA’s mining industry. 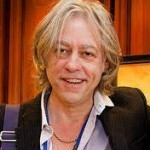 This is an increase of 1400 over the previous three months. Minerals Council welcomes new dust reduction programs (0) March 22, 2013 The NSW Minerals Council has welcomed the new dust Pollution Reduction Programs announced in Hunter Valley by NSW Environment Minister Robyn Parker. 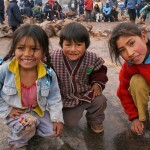 Illegal gold mining leads to mercury contamination in Peru (0) March 22, 2013 A study of mercury contamination in a south-eastern Peruvian jungle found unsafe levels of the toxic metal in 78 percent of adults in the regional capital. 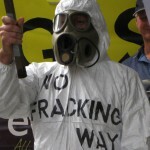 CSG on the agenda in New England poll (0) March 22, 2013 The coal seam gas industry is a contentious issue in New England and Nationals Senator Barnaby Joyce says he does not intend to ban coal seam gas exploration. 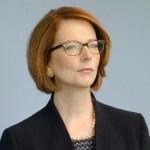 Labor leadership woes bad for business (0) March 22, 2013 Mining magnate Clive Palmer has joined the premiers of QLD and WA in warning that ongoing tension between Prime Minister Julia Gillard and Kevin Rudd is bad for business. 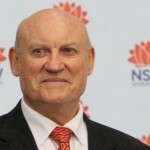 Government to retain renewable energy target (0) March 22, 2013 The nation will still aim to ensure 20 per cent of Australia’s electricity comes from renewable sources by 2020. 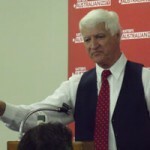 Mining loopholes for CSG (0) March 22, 2013 Rural councils can avoid new coal seam gas laws; a move the Greens say would breed corruption. Call for Pacific mining activities to be managed sustainably (0) March 22, 2013 Pacific Island ministers and development experts have called on governments to ensure mining companies are environmentally responsible and comply with international transparency standards. QLD miners to boost local content (0) March 22, 2013 Queensland mining and energy companies have committed to a voluntary code of practice designed to strengthen ties with suppliers and boost local content. 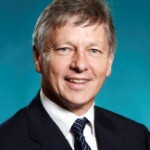 Bill Marmion new WA Mines Minister (0) March 22, 2013 Bill Marmion, Western Australia’s former Environment Minister, has been given the state’s Mines and Petroleum portfolio. 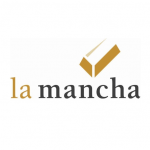 Underground worker injured in rock fall (0) March 22, 2013 An underground mine worker was seriously injured in a rock fall at La Mancha Resources’ Frog’s Leg gold mine yesterday. Whitehaven cuts 40 coal jobs (11) March 22, 2013 Whitehaven Coal is laying off 40 employees from its Rocglen and Tarrawonga mines in north-west New South Wales. Microfluidics the new way for precious metal recovery (0) March 21, 2013 Researchers at Murdoch University are taking a different route to make the recovery of high value precious metals faster and more economically viable. 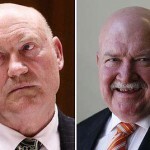 Senior bureaucrats warned mining minister: ICAC (0) March 21, 2013 The NSW Independent Commission Against Corruption has heard former mining minister Ian Macdonald ignored official advice not to rush through a coal exploration licence in the Hunter Valley. 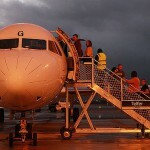 Rockhampton to host FIFO debate (0) March 21, 2013 A conference will he held in Rockhampton next week to discuss the issues surrounding FIFO workers in Central Queensland. 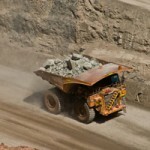 Skills shortage still hurting miners (860) March 21, 2013 Australian miners have been a victim of their own success, and low productivity linked to the skills shortage risks hurting the sector further, an industry collective says. 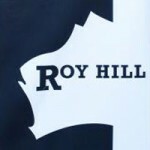 Roy Hill boss still confident on 2015 deadline (0) March 21, 2013 The boss of Gina Rinehart’s Roy Hill mine says the project is on track to ship iron ore by 2015, and Hancock Prospecting has “no reason to change that plan”. Coal company asks for “good looking” receptionists (0) March 21, 2013 A coal company based in Indonesia has posted a job advertisement asking for “good looking” single females under 25 to apply. 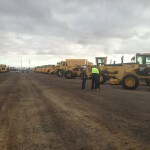 Over $25mil of mining equipment goes under the hammer (0) March 20, 2013 Over $25 million worth of mining and industrial equipment and machinery was yesterday auctioned at Ritchie Bros. Victorian site. 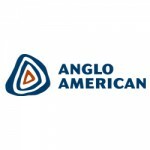 Apollo Minerals to divide into iron ore and base metals companies (0) March 20, 2013 The new company will take on Apollo’s iron tenements in WA and SA while Apollo will retain its base metals interests. 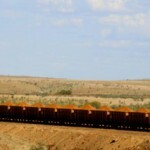 Mining earnings down $6 billion (0) March 20, 2013 A leading authority on the resource industry says mining export earnings have crashed by $6 billion on the back of a volatile iron ore market. Rio and Xstrata slash 200 jobs (0) March 20, 2013 Rio Tinto and Xstrata have confirmed plans to slash around 100 jobs each as they try to stem losses from struggling coal mines in NSW and QLD.